Scout Handmade + Vintage Market: Applications are now open! Scout Handmade + Vintage Market will take place on May 26th, 2012 at the Parallel Marketplace in Abbotsford, BC. 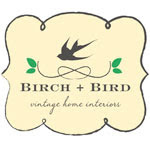 It will be the fourth event hosted by Rachel and Lily of Birch + Bird Vintage Home Interiors. If you are a handmade or vintage seller looking to join us as a vendor on May 25th and 26th, applications are now open for Scout Handmade + Vintage Market! Twig Home. Photo by Sharalee Prang. Click here to apply. After submitting your application form, please send us the $5 administration fee via PayPal (click "send money" and then please select the "friends + family" option). You do not need to have a PayPal account to send payment this way. *Update: Due to the overwhelming response by so many talented vendors, the deadline for applications is now March 15th, 2012. We will announce all accepted vendors on Friday, March 16th. All submitted applications will be reviewed by us to ensure quality, originality, variety and overall fit to our event. What is Scout Handmade + Vintage Market? Taking place in one of the large, unfinished spaces at the Parallel Marketplace in Abbotsford, Scout will be a pop-up market of sorts, bringing to the Valley a wide range of high quality handmade and vintage goods. With oodles of natural light, plentiful parking and a prime location surrounded by other local establishments, we feel that this is the perfect place to showcase our talented vendors and their wares. Who can apply as a vendor? Anyone creating high quality handmade goods or reselling well curated vintage finds. Vintage items must be 20 years or older. This is a juried event and participating vendors will be chosen based on product variety, originality and quality of goods as well as the overall look of their display. When and where is Scout Handmade + Vintage Market? Friday, May 25th from 6-9pm will be open to ticket holders and invited guests only. Saturday, May 26th will be open to the public from 10am-4pm for a small admission fee. Partial proceeds of the admission will go to a local charity, Life Recovery, a non-profit women's recovery program. The market will take place at 1920 North Parallel Road in Abbotsford, BC in the Parallel Marketplace. We will be set up in the large indoor unit behind the Wired Monk, across from Thrifty Foods. What are the details for the Friday night Sneak Peek? Tickets will be available to purchase for a First Dibs night of shopping, wine + cheese and live entertainment. A limited number of tickets will be available for this more intimate evening of shopping and socializing and it will take place between 6-9pm. We will also be inviting a number of local business owners, bloggers and media to attend so be sure to bring plenty of businesses cards. 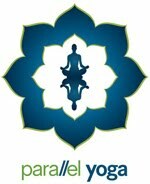 Do vendors have to participate for both Friday night and Saturday? Yes. All vendors must be completely set up by 5pm on Friday evening and remain set up until 4pm on Saturday. The venue will be locked and secure overnight but we strongly encourage everyone to bring their cash, float and any other valuables home with them until the morning. Please be prepared with enough stock to replenish your booths on Saturday morning, before the doors open to the public. How do I apply as a vendor? Vendor applications will open on Wednesday, February 15th and we will post the online application form on our market website. You will need to attach photos of your product, past displays and/or links to your online shops or websites to be considered as a vendor. Your application will be considered complete when we've received your $5 administration fee via PayPal. How much do vendor spaces cost? Vendors spaces will cost $125, plus the $5 application fee. The space will be 6ft wide and 5ft deep for a total of 30 square feet. This fee includes both Friday and Saturday, so it's like getting two days for the price of one! If you need a larger space, please make note of it in your application. A double-sized booth will cost $250, plus the $5 application fee. All fees are non-refundable. Payment will be accepted via PayPal only. You do not need a PayPal account to send money, just a credit card. See here for more details. What does the booth fee include? What are vendors responsible to bring? Vendor fees include one 6 foot table and 2 chairs. If you do not need a table or chairs, please let us know and we will tape off the allotted space for you. Each space is 6ft wide by 5ft deep. Electricity is available upon request but vendors are responsible for bringing their own extension cords and power bars. A light lunch will be provided for up to 2 vendors per booth. Vendors are responsible for bringing their own table covering, cash float, electrical cords and any other necessary elements for their displays. Does Scout keep a percentage of vendor sales? No. All sales belong to individual vendors. Our only charges are the application and vendor fees. Can I share another booth or table with another vendor? No. Vendor spaces may not be shared, however, if you only need a very small space for your display (e.g.. 3ft by 2ft) contact us and we may be able to make arrangements for you. What time is setup and tear down? The venue will be open for setup at 11am Friday, May 25th and all vendors must be completely setup by 5pm. All booths must remain fully setup until 4pm on Saturday, May 26th. How do you decide who is accepted to your markets? All vendors must be handmade or vintage sellers. Vintage items must be 20 years or older and handmade items must be made by yourself. No consignment items, please. Vendors will be chosen based on the quality and originality of their products, in addition to the overall aesthetic of their display. We are looking specifically for unique and diverse vendors who will appeal to our target market of design savvy customers, most of whom are women between 25-55 years old. When will I know if I've been accepted to Scout Handmade + Vintage Market? *Update: Due to the overwhelming response by so many talented vendors, the deadline for applications is now March 15th, 2012. We will announce all accepted vendors on Friday, March 16th. All submitted applications will be reviewed by us to ensure quality, originality, variety and overall fit to our event. We will let you know by email if you have been accepted or not. By applying to be a vendor, you are agreeing to pay 100% of the vendor fee upon being accepted. Payment will be due immediately via PayPal and is non-refundable after April 15th. The application fee is non-refundable. How will you be marketing this market? How can I help spread the word? We will be making extensive use of social media, blog/website, posters, postcards, local media such as newspapers and radio, online event listings and networking with other local bloggers and businesses to promote Scout Handmade + Vintage Market. Parallel Marketplace will also be working with us to promote our event, as will our sponsors and Tourism Abbotsford. 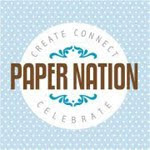 You can help us network by using your own blog, website, and/or social media outlets. Posters and postcards will be available to pick up by request. How will you be keeping vendors updated about the planning process? While we will be sending out regular emails to all vendors, we will also be opening up a closed group on Facebook for vendors only. This will help us to streamline emails and answer questions as they arise and will be the best place to find up to date market and vendor information. We highly recommend that you have a Facebook account and, while you're at it, create a Facebook page for your small business. This will allow us to link to you on our blog and customers to find you before and after our event. I don't sell handmade or vintage goods but would still love to be involved. Is this possible? We are currently looking for local sponsors for Scout Handmade + Vintage Market. Contact us at birchandbird(at)gmail.com for more information. If you didn't see the answer to your specific question below, please feel free to contact Lily and Rachel at birchandbird(at)gmail(dot)com. Looking forward to seeing you later this Spring! 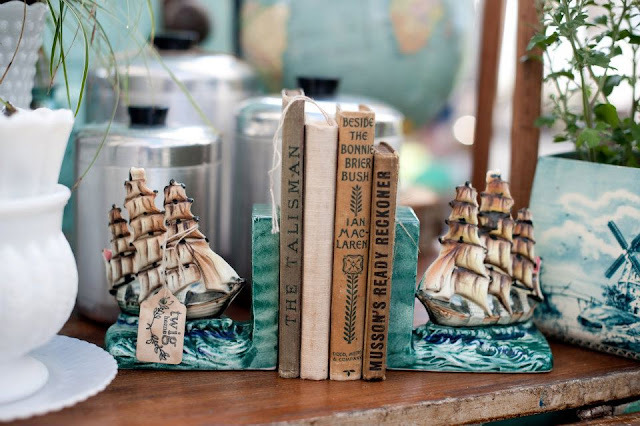 Apply here for Scout Handmade + Vintage Market. Soooo looking forward to this! Now it's time to start pulling together stuff for my appliation!! 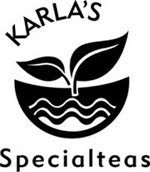 May 25th-26th, 2012 at The Parallel Marketplace (across from Thrifty Foods) 1920 North Parallel Road, Abbotsford BC. Friday, May 25th from 6-9pm will be open to ticket holders and invited guests only. A limited number of tickets are now available to purchase for $25 for a First Dibs night of shopping, wine + cheese and live entertainment. Purchase Tickets Here Saturday, May 26th will be open to the public from 10am-4pm for a small admission fee. Partial proceeds of the admission will go to a local charity, Life Recovery, a non-profit residential women's recovery program. Limited tickets available April 15th, 2012. I am Lily Ellis, co-founder of the blog Birch + Bird. I also co-own a vintage home decor store, Spruce Collective, in Abbotsford, BC. Contact birchandbird@gmail.com for sponsorship opportunities. 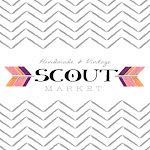 Announcing Scout Handmade + Vintage Market!